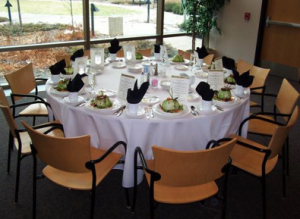 Enhance your event experience at the University of Minnesota, located in Minneapolis and Saint Paul. 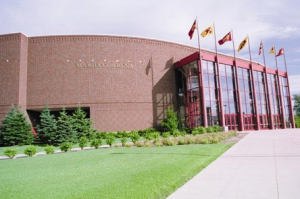 The University of Minnesota offers a variety of venue spaces and accommodations on campus with all of the fabulous amenities of a metropolitan area. Skilled conference service staff at the “U” are available to guide planners and guests through every stage of an event on any of the three University campuses. The University of Minnesota is located on the banks of the Mississippi River. There is a wide variety of unique venues of various sizes and specifications, from historic to modern as well as state-of-the-art. Venues include auditoriums that seat up to 2700, atriums, “AV smart” meeting rooms, theaters, special event spaces, conference rooms, museums, libraries and outdoor spaces. Athletic facilities include arenas that can set up to 50,000 outdoor and 15,000 indoor. They also have grass and turf fields, gymnasiums, pools, diving wells, soccer fields, and the fieldhouse with indoor and outdoor tracks, as well as basketball courts. The newly renovated Recreation Center offers multipurpose rooms along with an expanded fitness center, elevated indoor track, and rock climbing wall. The University of Minnesota is a green campus that is committed to environmental sustainability. Sustainability at the University of Minnesota is a continuous effort that integrates environmental, social and economic goals through design, planning and operational organization. Some of the outstanding sustainable practices on campus include new eco-friendly residence hall and campus-wide recycling. University Dining Services participates in the sustainability effort by composting and utilizing a fresh food market with food grown locally on and near campus.